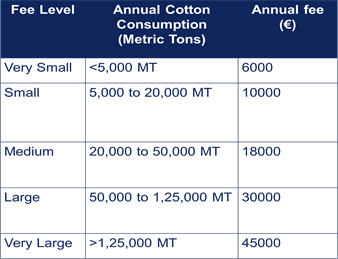 This section describes the sustainable cotton standards. It also describes a range of programmes and codes which could be helpful in your sustainable sourcing journey. The Better Cotton Initiative (BCI) is the world’s largest farm-level cotton sustainability programme. BCI aims to transform cotton production by developing Better Cotton as a sustainable mainstream commodity. BCI stewards the Better Cotton Standard System. The Better Cotton Standard System has six components. Principles and Criteria: Provides a global definition of Better Cotton. Capacity Building: Support and training for farmers to enable them to grow Better Cotton. Assurance Program: Regular farm assessment and measurement of results, emphasising continuous improvement. 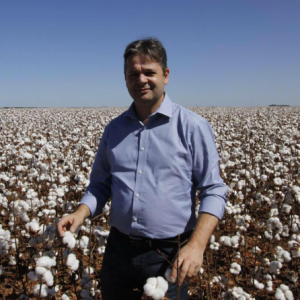 Chain of Custody: Connects supply with demand for Better Cotton. Claims Framework: Guidelines for Members to ensure accurate communications. Results and Impact: Measures progress to ensure Better Cotton delivers intended impact. Cotton made in Africa (CmiA), myBMP and Algodão Brasileira Responsável (ABR) have been successfully benchmarked against the Better Cotton Standard System and are accepted as equivalents under the BCI umbrella. Contact BCI Membership Team at membership@Bettercotton.org to learn about BCI. Obtain high level internal alignment and support for BCI membership. BCI carries out its due diligence. Membership decision is final after consultation with BCI Members. Retailers and brands are obliged to be members of BCI to implement the Better Cotton Chain of Custody and communicate about Better Cotton. BCI retailers and brands implement the Better Cotton Chain of Custody. They are obliged to use the Better Cotton Platform as part of implementing the Better Cotton Chain of Custody. The data entries on the Better Cotton Platform are subject to audit by BCI. BCI farmers do not receive a premium. Prices are set by the market. In less than 10 years, BCI and its partners have reached over 1.6 million cotton farmers in 22 countries, training them in more sustainable agricultural practices. Today, Better Cotton accounts for more than 12% of global cotton production. It is truly a joint effort, bringing together organisations from farms to fashion and textile brands, and is driving the cotton sector towards sustainability. Our 2020 goal is to train 5 million farmers and account for 30% of global cotton production. 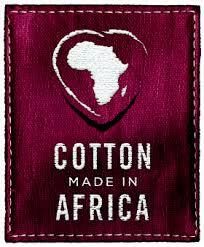 The Cotton made in Africa (CmiA) initiative is the largest standard for sustainable cotton from Africa. 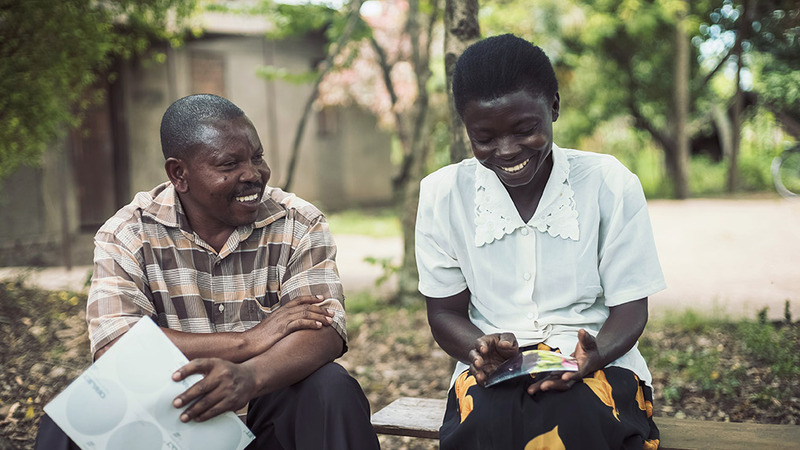 Established in 2005, CmiA’s goal is to sustainably improve the working and living conditions of smallholder cotton farmers in Sub-Saharan Africa. In agricultural and business trainings conducted by agricultural extension staff of CmiA-verified partners, smallholders learn efficient and environmentally friendly cultivation methods. This knowledge allows farmers to comply with CmiA’s set of sustainability criteria. Women receive special support through a variety of measures that reinforce their rights and strengthen their role in society. Making farming communities more sensitive to gender equality and the importance of the child labour ban is fundamental to the CmiA programme. An international alliance of textile companies and brands is built to create a strong demand network for CmiA cotton. Partners integrate the CmiA verified cotton into their supply chains and pay a licensing fee to use the CmiA seal. The proceeds of the licensing fees finance training, regular verification by third-party auditors at field and gin level, impact assessment and further projects in the Sub-Saharan region. Community cooperation projects, such as support for women clubs or water and sanitation, help tackle other SDG relevant issues. Contact CmiA to determine how and where you want to source CmiA-certified cotton. With the support of CmiA, choose your appropriate license option. Decide on one of two models for integrating CmiA into your value chain – mass balance or hard identity preserved. Sign a license agreement with CmiA. CmiA offers ongoing support in your supply chain management, as well as external communication and marketing. Companies pay a minor license fee to CmiA for using sustainable CmiA certified cotton in their supply chains. The license fees are directly re-invested to foster sustainability in the CmiA project and cotton growing regions. Companies gain transparency and traceability in their supply chains. CmiA company partners can communicate on their engagement on product and/or corporate level with the support of CmiA. The verification system is based on the CmiA matrix of sustainability criteria for cotton companies and their contracted farmers. 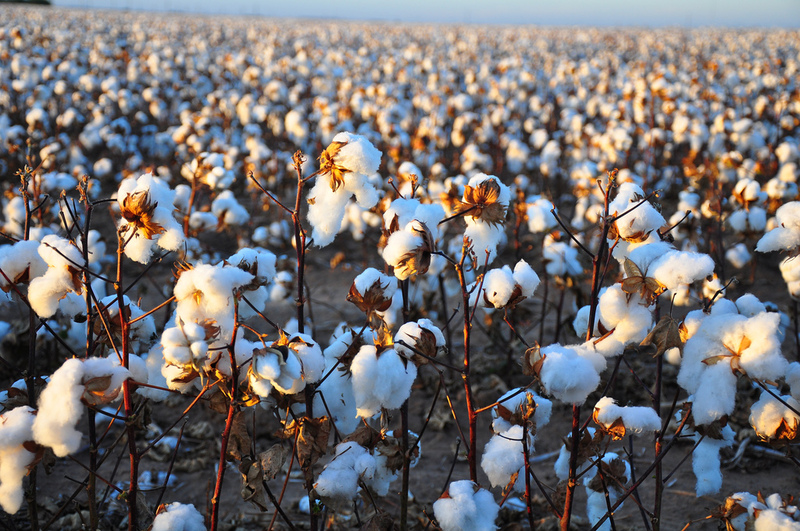 Cotton companies provide an annual self-assessment. Both cotton companies and farmers are regularly audited by independent third-party auditors following a two-tiered verification system that consists of missions at field and ginner level. Cotton companies issue a comprehensive management and improvement plan for sustainable development. Upon compliance with the CmiA matrix, cotton companies are issued a certificate and license to sell their cotton as CmiA certified. By making changes to the conventional trading system, Fairtrade aims to benefit disadvantaged small producers through promoting fairer terms of trade and expanding access to markets. Fairtrade’s goal is to empower small producers and foster sustainable livelihoods. The Fairtrade system comprises of Fairtrade International, national organisations that license and promote Fairtrade, producer networks, and FLOCERT, an independent certification body, which inspects producers and supply chain actors to ensure compliance with Fairtrade standards. Fairtrade cotton farmers receive the Fairtrade Minimum Price, which aims to cover the cost of sustainable production acting as a safety net against fluctuating market prices. The Fairtrade Premium is paid on top of the selling price and provides additional income that the farmers’ cooperatives democratically decide to invest. This can be spent on their businesses, families and communities, and is often invested in education and healthcare, farm improvements to increase yield and quality etc. Additional support includes pre-financing, access to credit and long-term contracts. Fairtrade Standards are designed to protect the natural and human environment, with strict rules on pesticides, water conservation, soil erosion, GMOs, biodiversity, energy use and reducing carbon footprint. Fairtrade encourages organic farming practices and 75% of Fairtrade cotton is certified organic. Fairtrade’s initial certification process for every step in the supply chain. Sign a license agreement with Fairtrade. Fairtrade continues providing sourcing and supply chain support for you and your suppliers. Fairtrade supports and guides you with on and off pack communication and marketing material. Certification is mandatory for every producer and company involved the supply chain of a Fairtrade product. Companies sign an agreement and pay a small license fee to Fairtrade. This certifies use of the Fairtrade mark and traceability of cotton. The mass balance model is a sliding volume-based fee. Segregation and physical traceability at every step in the supply chain. Three-year certification cycle with initial audit in year zero for entire supply chain. Up to two confirmation audits (focused or unannounced) per cycle. These depend on compliance with the Fairtrade Standards, Fairtrade Premium amount received/paid and deviations from standard, risks and allegations respectively. For mass balance model, physical segregation takes place until spinner and volumes are verified through online platform – Fairtrace. Fairtrade Premium of 0.05 Euros/kg of seed cotton for farmers. Fairtrade Minimum Price varies and is set for every region. Fairtrade Minimum Price for organic cotton 20% higher than conventional. Fairtrade labelled product is 5-12% more expensive for the company. This could be higher for small volumes for SMEs but is much lower with mass balance model. Chetna Organic Agriculture Producer Company Ltd (COAPCL) is a part of Project Chetna, a development initiative aimed at improving the lives of smallholder and marginalised cotton farmers in different rain-fed cotton growing regions in India. myBMP (Best Management Practices) is the Australian cotton industry’s environmental management standard for growers, ginners and classers. It provides self-assessment mechanisms, practical tools and resources, on-farm extension, technical support and independent third-party auditing to ensure that Australian cotton growers are implementing best practice to produce economically, socially and environmentally sustainable cotton. In 2017, there were more than 610,000 bales of cotton produced from myBMP certified farms. Participation in the myBMP program is growing at 20% per year and the number of myBMP certified farms has more than doubled in two years. myBMP cotton has a different membership process to other standards. myBMP/ Australian cotton can be sourced through the supply chain without becoming a member of a specific organisation. Grower registers on-line at myBMP.com.au. 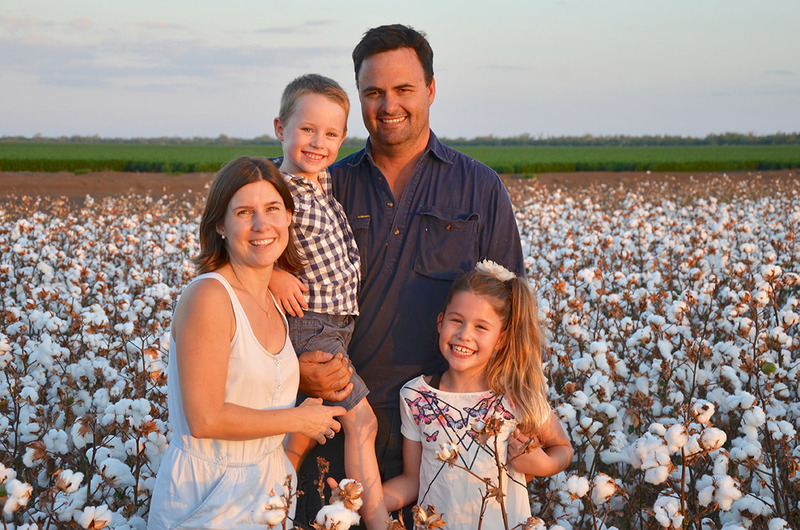 The myBMP office (run by Cotton Australia) establishes a user account for the grower and provides initial advice and support to get started in the program. Grower works through the self-assessment for all modules. Grower is invited to request an audit when all Level 1 and Level 2 checklist items are completed and then selects an auditor from a list of accredited independent auditors. 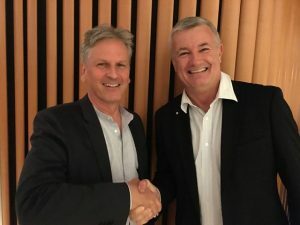 Once the risk assessment is completed and a grower is confident that all certification standards are met, growers seeking myBMP certification are independently audited. Requested audit completed on farm. The auditor reviews the grower’s assessment and associated documentation and follows the myBMP Audit Procedure and Guidelines when conducting on-farm audits. The audit report is then written to determine whether the grower has achieved all the myBMP certification standards and should be certified. If granted, the myBMP certification remains in place for five years. To monitor the effectiveness of the certification process, random surveillance audits are also conducted across certified farms. Organic cotton is cotton that is produced and certified according to organic agriculture standards. Organic production systems replenish and maintain soil fertility, expand biologically diverse agriculture, and prohibit the use of synthetic toxic and persistent pesticides and fertilisers, as well as genetically engineered seed. 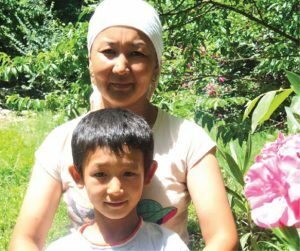 IFOAM – Organics International is the overarching body for organic agriculture and provides information on the ‘family of standards’ for organic farming. Organic standards most commonly associated with organic cotton at farm level include (but are not restricted to) the USDA – National Organic Program (NOP), EU Organic Regulation, and APEDA’s National Programme for Organic Production (NPOP) in India. The Organic Content Standard (OCS) from Textile Exchange and the Global Organic Textile Standard (GOTS) are voluntary standards that provide chain of custody assurance from farm to the final product, with GOTS also requiring textile processing social and environmental criteria. Textile Exchange collects data on global organic cotton fiber production, convenes an Organic Cotton Round Table, and creates learning tools such as aboutorganiccotton.org and the Quick Guide to Organic Cotton. Although there is no overarching body for organic cotton, Textile Exchange, along with other organisations, works hard to support the sector. As of 2018, OCA represents the interests of over 70% of the organic cotton sector. Each year, OCA hosts its Organic Cotton Summit, a multi-day meeting for its global affiliates and partners to celebrate our shared investment in the future of organic cotton. If you are interested in membership or to learn more, please email us at secretariat@organiccottonaccelerator.org and follow us on Twitter, Instagram and Facebook. Published in 2019, the Organic Cotton Sourcing Guide provides practical answers to the question of how companies can procure organic cotton. The guide was produced by the Partnership for Sustainable Textiles in cooperation with Helvetas, Organic Cotton Accelerator and C&A Foundation. It provides six steps of how to go organic for brands starting to use organic cotton or those wanting to increase their share of organic cotton. The producer, or on occasion, the buyer of the organic cotton meets the certification costs. In the USA, for example, farm certification costs approximately US$750 per farm per calendar year. For smallholder farmers (such as in Africa and India), certification can be at the group level whereby farmers work in ‘producer groups (called an Internal Control System). For more information please visit IFOAM Internal Control Systems for Group Certification. Annual and unannounced audits also take place. Validity of certificate is one year. Farmers may be paid more for their organically grown products (between 5-20% over conventional commodity prices). 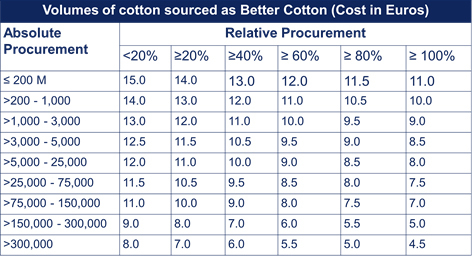 Organic cotton – seed and fibre – differentials vary depending upon quality, geography and arrangements made with buyers. For more information please see the Kering/Textile Exchange report on Organic Cotton Pricing and Trading. 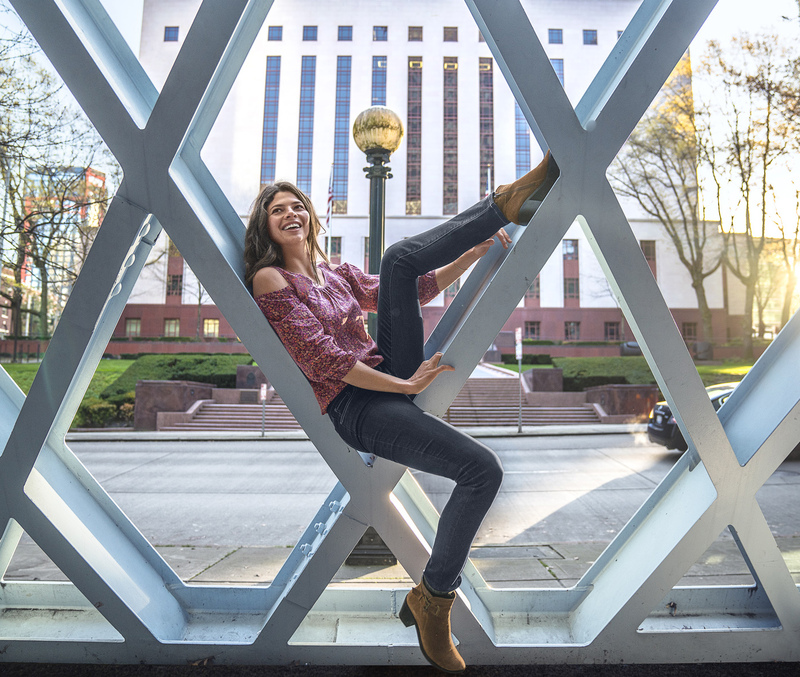 In 2018, we reached our cotton goal of being 100 percent organic for all of prAna‘s cotton products. Our commitment to replacing all conventional cotton in our products speaks to the continued momentum of the Sustainable Clothing Movement and the drive to lessen our impact on the planet. This achievement was a big moment for us and represented the long journey prAna has been on ever since learning about the impact of insecticides and pesticides, not only the soil, but also on the farmers of conventional cotton. At prAna, we not only consider the best practices in the raw materials we use, but are also committed to hiring sustainable vendors to expand our value that all humans should be treated equally and have access to their basic needs. Therefore, we directly microfinance (See: Why Organic Matters — Sustainable Clothing Movement) an organic cotton farmer co-op in India that allows farmers to purchase cotton seeds and other supplies interest-free each season. This means the organic farmers can avoid high interest rates on bank loans, something which has contributed to one of the highest farmer suicide rates on the planet among conventional farmers. With the organic farming our field has become more fertile; we learned how to organize proper crop rotation. Besides, the income from organic farming is higher in comparison with conventional farming. This year I started working as village bio inspector (VBI). The work is difficult but very interesting. I want to prove that a woman can also work as VBI. The Brazilian Association of Cotton Producers (ABRAPA) has been an Implementing Partner of the Better Cotton Initiative since 2010, acting with the Responsible Brazilian Cotton Program – ABR. Promote the progressive evolution of good social, environmental and economic practices in order to build a good image for Brazilian cotton and gain space in the growing responsible cotton market. Continuously improve the sustainable management of production units as they raise the level of compliance with sustainability criteria and the ABR program. Raise awareness of sustainability issues among its members, placing the sector in line with the issues that guide governments, other organisations and society. The ABR program is sustained by three pillars: social, environmental, and economic. The Verification for Property Certification (VDP) lists the necessary requirements for the conformity assessment of the production unit. It is divided into eight criteria: (1) work contract; (2) prohibition of child labour; (3) prohibition of work analogous to slavery or in degrading or unworthy conditions; (4) freedom of association; (5) prohibition of discrimination against persons; (6) safety, occupational health and the work environment; (7) environmental performance; (8) good agricultural practice. Carlos grows cotton on three properties, and all have been licensed by BCI and certified by ABR since the beginning of the programme in 2013. The properties have met the continuously evolving economic, environmental and social requirements of the programme. For the 2016/17 crop, Carlos Moresco applied 25% fewer pesticides to control cotton boll weevil than in the 2015/16 season. Several other achievements were possible thanks to the combination of technical knowledge, software for monitoring and operational efficiency. Carlos is learning more about sustainable practices each day, thanks to the continuous improvements of the Brazilian Cotton Responsible program, the Better Cotton Initiative and the experience of other Brazilian cotton growers. The REEL Cotton Programme is a three-year agricultural programme that provides farmers with training on sustainable cotton farming practices. Run by CottonConnect in partnership with leading brands and retailers, the programme is proven to increase yields and farm profits while reducing environmental impacts. REEL Cotton can be fully traced from farmer to store by its complementary organisation, TraceBale. Brands can opt to include this as part of supply chain mapping and market linkage support expected from CottonConnect, but TraceBale is not a mandatory offer along with REEL. Since 2010, the REEL programme has trained over 20,000 farmers, mainly in India, China, Pakistan and Peru. 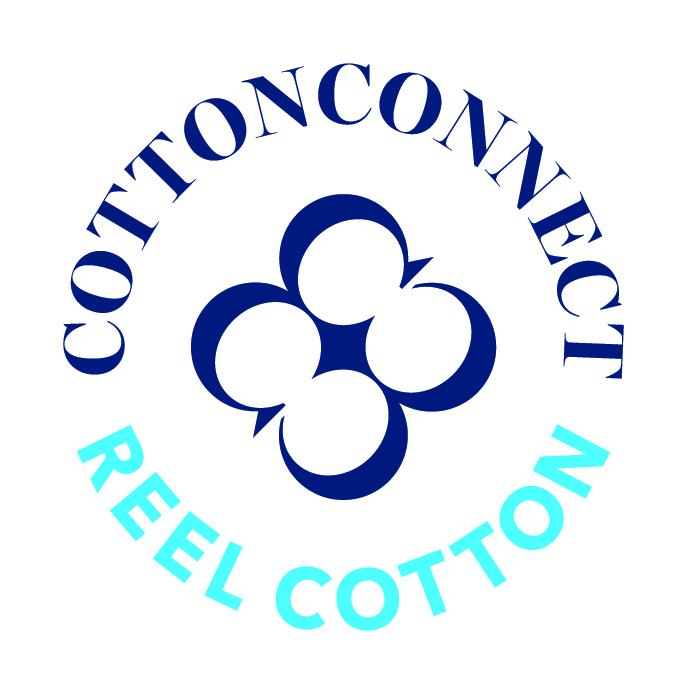 The REEL Cotton Programme is independently verified by the REEL Code, a code of conduct developed with FLOCERT. The REEL Code verifies that farmers in the REEL programme are using sustainable practices, with added elements that ensure traceability and decent work. REEL is a code rather than a standard. This means it can be tailored to focus on sustainability issues that brands and retailers are trying to address in their supply chains. Social intervention programmes include ‘Women in Cotton’, ‘Farmer Business School’ and ‘Health and Safety in Cotton Gins’. CottonConnect is yet to publish a standard fee structure template. Fee structure for Program development, verification and certification can be advised by CottonConnect on a case by case basis depending on the geography, project size and supply chain optimisation required. Three year agricultural training course that promotes sustainable cotton farming practices. The REEL Cotton Code is developed with and independently verified by FLOCERT. Verification Assessment Tool to be completed by the producer group. Assessment Order with description of scope, allocation of time, interpreter reference etc. Check on verifier’s compliance ratings against self-assessment. CottonConnect has been working with Primark, and the Self-Employed Women’s Association (SEWA) since 2013 on Primark’s sustainable cotton training programme. The Primark Sustainable Cotton Programme, based on the REEL Cotton programme, trained 1,251 female cotton farmers in the Gujarat region in India in its first three years. Since the outcomes of the Programme far exceeded expectations, in 2016 Primark decided to substantially scale up the initiative to train an additional 10,000 women farmers over the next six years. They are also supporting CottonConnect’s Farmer Business School and Rights and Life Skills Education programmes, to build resilience and capacity within cotton growing communities. For more information about CottonConnect’s partnership with Primark click here. Thanks to the REEL Cotton Programme we learnt about the essential nutrients required for healthy cotton growth. For the first time in so many years we received a better quality of cotton with increased yields which resulted in a high market price for our cotton.” – Godiben Vasani, cotton farmer from Surendranagar, Gujarat, India. The Cotton LEADSTM Program is founded on a partnership between the Australian and U.S. cotton industries. The goal is to engage and connect textile businesses across the global supply chain with leading efforts in sustainable cotton production. Over 500 brands, retailers and manufacturers are partners in the Cotton LEADSTM Program, in support of national sustainability efforts in both founding countries. 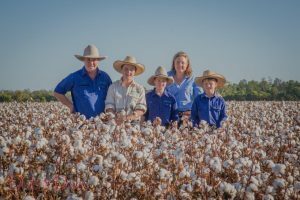 Australia and the U.S are producing cotton with nationwide commitments to sustainability, traceability, data collection, research and technology. Cotton from the two Cotton LEADS countries is grown with robust government and industry oversight ensuring that worker, consumer and environmental safety is prioritised during production. This national approach is an effective way to drive large-scale, continuous improvements that are accessible to the greatest number of growers and downstream businesses. For many companies, Cotton LEADS provides assurances that cotton sourced from Australia and the U.S. has been sustainably produced. e3 farmers sign up to commit to grow cotton more efficiently and without harming the environment. Third-party, independent auditors certify a farmer’s commitment to grow e3 cotton in an environmentally responsible, economically viable, and socially equitable manner in the United States. e3 is U.S. grown from superior seed which produces high-quality fiber and yarn. The e3 program supports farmers with the latest techniques. e3 also meets the needs of consumers by providing enormous quantities of sustainably produced cotton. There is no cost to the grower to participate. Requires annual sign-up and qualification to participate.